We’ve got a couple of new contributors who have written articles for this issue. First we have Hans Strand, a wonderful photographer and one of the premiere international landscape photographers during the peak of the 1980s colour publishing boom and who still creates photographs with a unique and beautiful look. Hans writes about the difference between impressing and making an impression with examples from his own work. 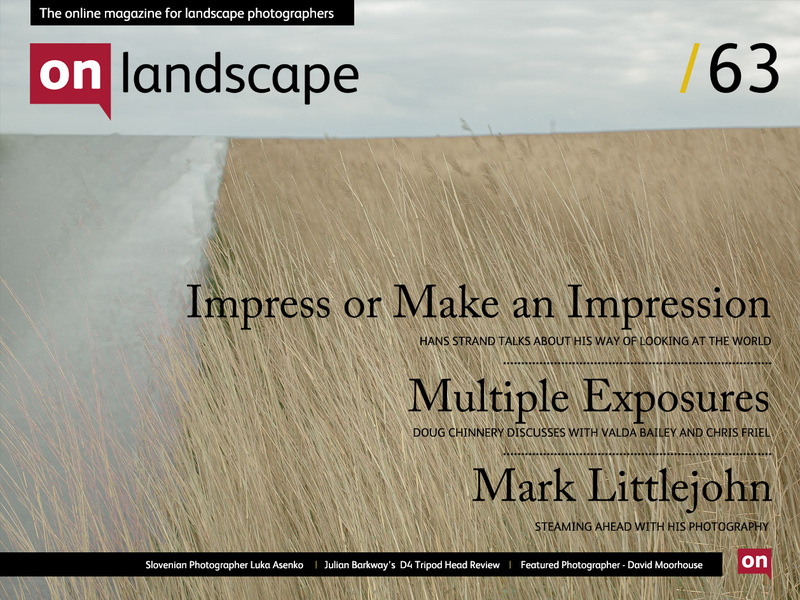 We also have Doug Chinnery writing about his work with in-camera multiple exposures and who interviews Chris Friel and Valda Bailey about their own work using the technique. We also visited Mark Littlejohn and spent a wonderful day in Ullswater followed by the chance to interview him about his work - an opportunity we’ve been waiting for for over a year. 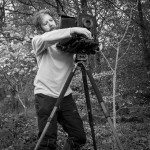 We finally have an article on Slovenian photographer Luka Esenko, an intriguing project on the M62 - a major motorway in the North of England, a followup review about the Arca Swiss D4 tripod head and our featured photographer David Moorhouse. 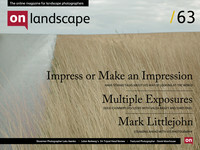 And we mentioned in our last email update we had a bit of news and we’d like to announce that we’ve booked a location for a landscape photography conference at the end of November of next year (21-23 November 2014). We’ve already confirmed a couple of international speakers and we’ll be asking questions about what sort of talks you’d like to see in the next couple of months.